Keys to the Capitol -- History in real time. Keys to the Capitol was a weekly news discussion program from NBC. "What's going on in Washington?" asks the moderator, as the program seeks to take the listener "Through the doors of Official Washington..."
The National Broadcasting Company's top Washington Reporters and Commentators discuss the news of the week, in a forum that will remind modern listeners of "Meet the Press" and similar TV News magazines. These broadcasts are from the mid-1950's, the era of Ike and McCarthyism. The listener will hear the fear of the spreading Communist Menace in Real Time. This is just after the Korean Conflict, and relations between the West and the Soviet Union and Red China are high priorities. 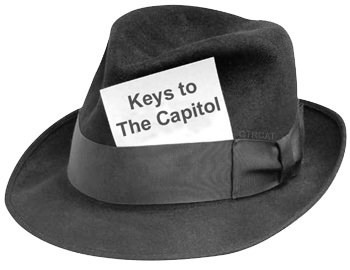 Be the first to comment on "Keys to the Capitol"